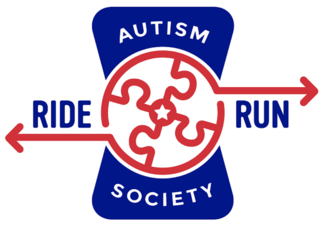 Thank you for your interest in volunteering at the Texas Autism Society Bike Ride and Fun Run! Most of the volunteer positions are on April 7, 2019, but a few positions are needed before the event. Each volunteer shift will last approximately 4 hours, with some positions requiring shorter/longer hours. Feel free to sign up for multiple shifts! Anytime between 9am-4pm, volunteers can pick the time. Help sort t-shirts. Cut and put together Cue Sheets for bike riders. Place information and items from our sponsors into race packets for participants. Coordinate with Bike Ride directors to collect swag bags and supplies. Anytime between 9am-4pm, volunteers can pick the time. Help with any last minute needs for the event. Post signs along the bike course to direct participants. We will provide map of locations as well as pole-driving tool for metal signs. You will need a vehicle large enough to hold 30-40 signs. Drive the bike route and make sure all signs are in place, replace missing signs if needed. Deliver tables, chairs, water coolers, and resources to Rest Stops along the bike route. Must have a vehicle large enough to fit tables and coolers. Set-up volunteer table and chairs next to the registration area. Greet volunteers, have them sign-in on volunteer roster, provide t-shirt and direct them to shift position. Monitor no-shows and reallocate volunteers as needed. I am president of Westwood NHS and will be bringing 1 NHS volunteer with me for this slot. I am president of Westwood NHS and have signed up 7 of my NHS members for this shift. Register new participants and collect signed waivers. Collect payment via Square. Give out packets, t-shirts, and event maps. Set up Rest Stop - prepare and replenish snacks, assist riders as they come by. Break down rest stop after last rider. I have a 9yr that will be along to assist as well. Help direct patrons to correct parking lots. Help set up tables and chairs for the Resource Fair. Will be bringing one other volunteer with me. Larger vehicle recommended. Follow behind 24 mile riders. Pick up any injured, lost, or broken-down riders. Pick up signs and rest stop tables and chairs along the way. Help set up signs along the course before the run. will A volunteer be placed along key areas of the 5K route, holding traffic and directing runners/walkers along the course. Fill cups and pass out water to runners. Pick up food from multiple locations and bring to Georgetown High School. There will be two bounce houses, one for younger children and one for older children. Monitor activity to ensure safety and fun for all. Be sure to limit amount of kids allowed at a time. Set up tables and tent, arrange lunch buffet, restock food, and clean up. Maintain supplies to ensure that all participants receive food (especially riders on longer routes). I'm bringing my son to help too. Larger vehicle recommended. Follow behind the 68 mile riders. Pick up any injured/broken down riders. Pick up signs and rest stop tables, chairs, and water coolers along the way. Help break down resource fair and all tables and chairs.